The actor Asao Yoroku I held this name from the 11th lunar month of 1830 to the 12th lunar month of 1851. The actor Asao Yoroku II held this name from 1855 to the 10th lunar month of 1862. Date of birth unknown. 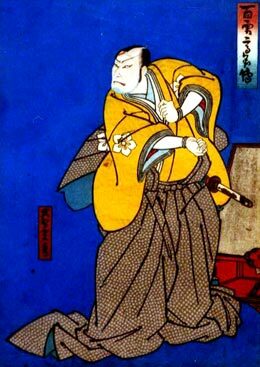 Disciple of Asao Yoroku II, his first stage name was Asao Asatarô. He took the name of Asao Yoroku III in the 8th lunar month of 1872 in Ôsaka. 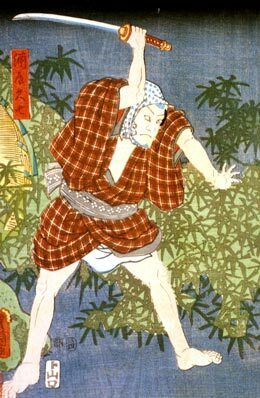 He spent most of his career in hama shibai, where he performed either as a katakiyaku or a tachiyaku. He died the 24th of January 1880.